It doesn’t matter where I go, there are so many things to take photos of. And thanks to modern technology, most of us carry a camera in our pockets, courtesy of our mobile phone. Unlike the chunky cameras of the past, today’s cameras are smaller, but incredibly sophisticated. That little window in the corner of our Smart Phone is capable of taking fantastic photos. Nowadays, great photography is as close as an iPhone click away. 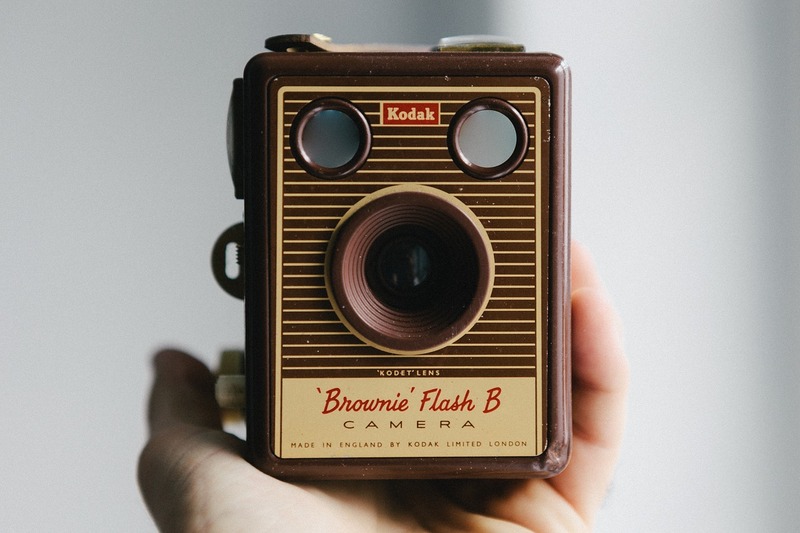 I’m not going to say how old I am, but my first camera was a Kodak Box Brownie, back when they were the latest innovation in everyday photography. Too bad if you missed that once-in-a-lifetime photo, because the opportunity to take another one had probably long since disappeared. Imagine how it felt when you arrived home from your first trip to Europe – collected your six rolls worth of photos, only to find the special photo you took in Zurich – was blurred. Ughhh!!!! It’s not like you could jump in the car, drive a few miles, and take the photo again. It just didn’t work like that. And then someone came up with the idea of the Digital Camera. No more rolls of film to be developed, and instant feedback on whether you had captured the image – or not. The digital camera revolutionised photography. Oh yes!, and it did. The DSLR and Smart Phone Cameras, took photography to a new level. The Single Lens Reflex (SLR) camera had been around for a very long time, but adding the Digital component brought them into the modern world. A zoom lens, added to a DSLR camera, brought the world up close, and very personal. The mobile phone became smaller and smaller. The smaller it got, the smarter it got. And eventually it evolved with a built-in lens. As phones became more sophisticated, so did the camera. The quality of the Smart Phone camera today is outstanding. You simply aim the phone, take the photo, and check the image. Of course, there’s always the option to switch the camera around, aim the phone at yourself, and take a selfie. What could be easier than that? And photos taken with most Smart Phones are nothing short of spectacular. Now there’s a small camera with wide and zoom lens capability that you can attach to your phone. The Olympus Air 01 is, without a doubt, my favourite camera. It clips onto my iPhone 6S Plus easily, even when the phone is in a solid case. Photos are easy to take, and even in Auto mode, they are amazing. I’m glad I gave in to that temptation! When I retired from a long career in teaching, I took a cruise to Singapore to celebrate. And on that cruise, I was introduced to the Olympus Air A01 camera. Because I have always loved gadgets, and technology, I couldn’t resist the temptation, and bought the camera. I have to admit though, I deliberated on the decision for a few days before deciding it would be an investment in my future. At that point I had no idea what my future would look like, but I figured it would have to involve technology at some level. 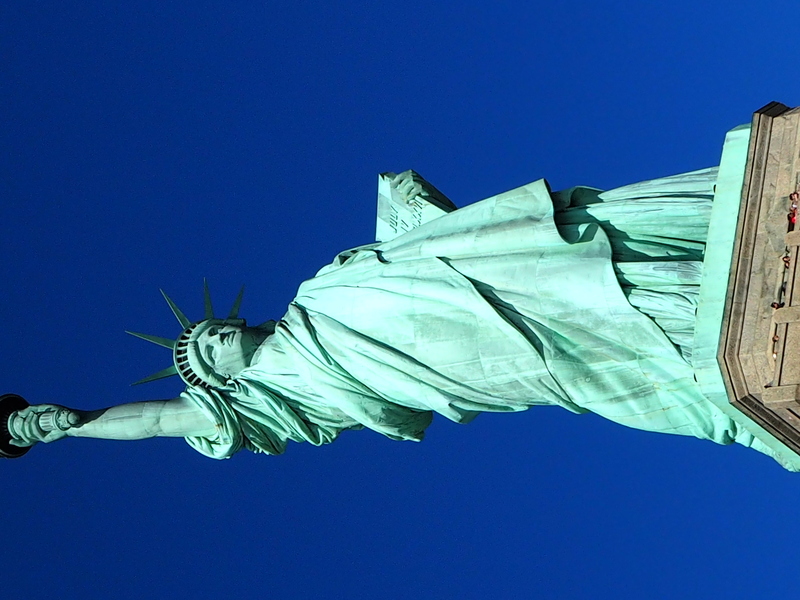 This photo was taken at ground level in front of the Statue of Liberty, with my Olympus Air A01 attached to my iPhone. That tiny camera has delivered some amazing photos as I’ve tried out my travel-legs, in the first phase of retirement. There’s not much point in travelling if you can’t bring back lots of photos, and thanks to my Olympus Air A01, I’ve managed to take some amazing photos from my trips. The Olympus Air is so portable! The monitor is your phone. It doesn’t have to be an iPhone like mine – it works just as well with Android versions. And because it works through WiFi and Bluetooth, you simply select the Olympus Air WiFi setting, open the specific App (once you’ve paired the camera with the App), and start taking amazing photos. The zoom and wide lens are simply a setting away. No need to change lenses, it’s all there. The selling feature for me was the ability to enlarge a photo taken with the Olympus Air, without losing detail. When you are not paying for rolls of film, and having them developed, you can take a few extra shots of that sunset, or the parrot in the tree. It doesn’t matter if it doesn’t turn out the way you hoped, you simply take another photo – and delete the not so good ones. You can even use software to touch up any not-so-perfect shots. There’s no such thing as a bad photo now that photos are just an iPhone click away. Interesting. I still like taking a camera – currently a LumixG7 which is quite light and takes good photos. I have a few lenses I can use on my phone, but still prefer my camera. Thanks for the information above. Nothing beats a good camera – but when I’m out and about, that’s when I usually find interesting things to take photos of, so the good old iPhone comes to the rescue. If I know I’m going somewhere just to take photos – I take my Olympus Air A01. And I keep promising myself that I will take my Nikon DSLR out one day and spend a whole day taking photos ….. but somehow, my ‘one-days’ are few and far between. There are too many interesting distractions. Whatever camera you use, Di – keep using it! Your photos are stunning! !